It has taken a long time, but I have finally created some space to write about China. In fact, you just might be hearing from me on a regular and predictable basis, wouldn’t that be organized? This past summer, the China Patchwork Color & Arts Research Specialized Committee invited to me to participate in the China International Patchwork Invitational Tournament & Patchwork Arts Show in October of 2016. They asked if I might want to exhibit my work, help judge their show, and teach a workshop. In exchange for my services, I would be paid to teach and all travel expenses would be taken care of. Never in my wildest dreams did I believe that I would be invited to CHINA. YES was the answer to that request. Everything in this post is about how I perceived the experience. With the language and cultural barriers, I may have gotten some things completely wrong. Still, this is what I think happened. 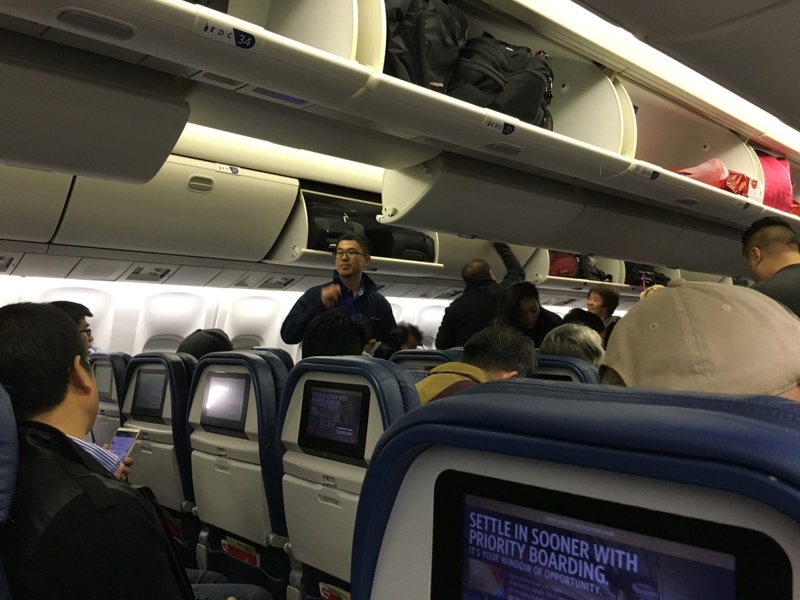 We flew Delta which I highly recommend for their TV service. Unlimited free movies and television certainly does make 22 hours of travel pass quickly. My trip was extra long because I had a eight hour lay over in Seattle which I treated as a spa day. I got a mani and pedi and a two martini lunch. I was ready fly. My BFF for the trip was Georgia French. 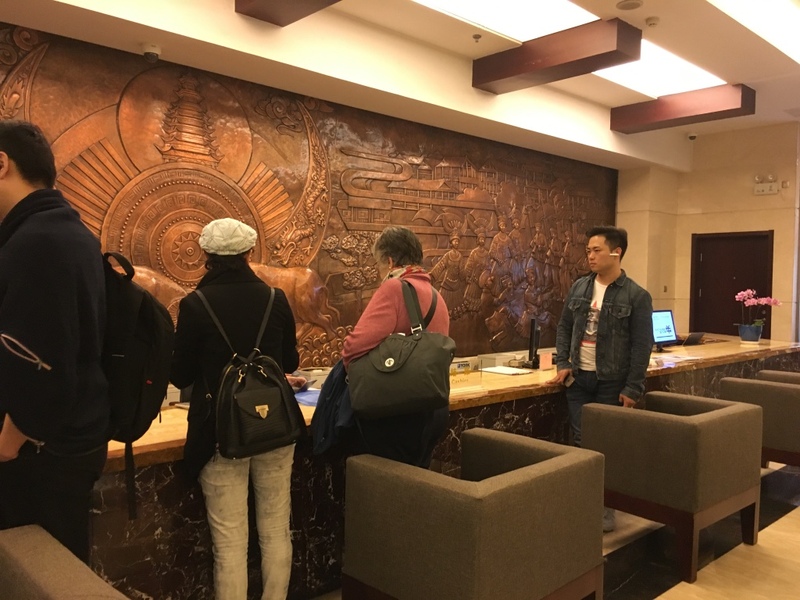 Here she is checking into our hotel in Beijing. Any pictures you see of me were taken by her. (Some times she cut my feet off, but that’s okay. )If you don’t know Georgia, I hope you some day get to meet her. She is the BEST, and I consider meeting her one of many wonderful things that happened on this trip. When we arrived it was close to midnight, but the hotel staff prepared us a totally yummy late night meal. In fact, the food was so incredible the entire time. Nothing like American Chinese food and oh so good! 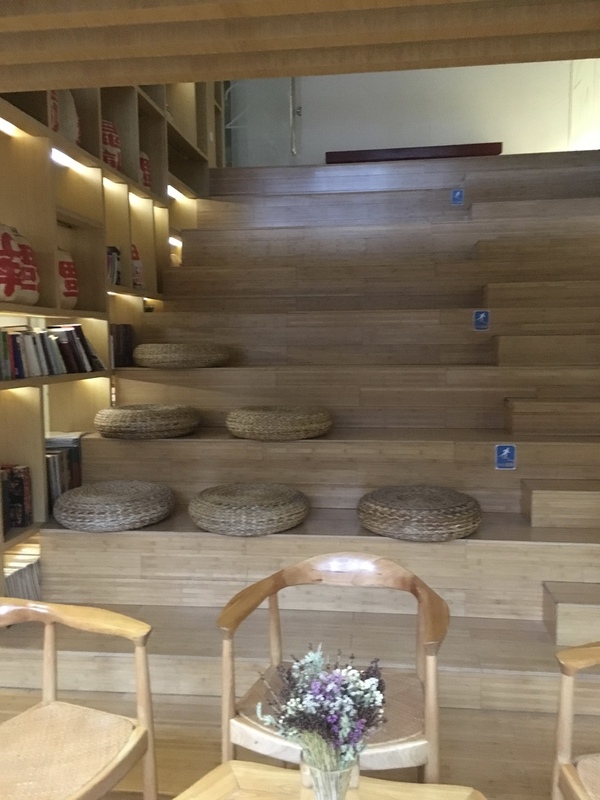 The next morning, we arrived on the campus of what might be considered the Beijing version of the Parson School of Design. 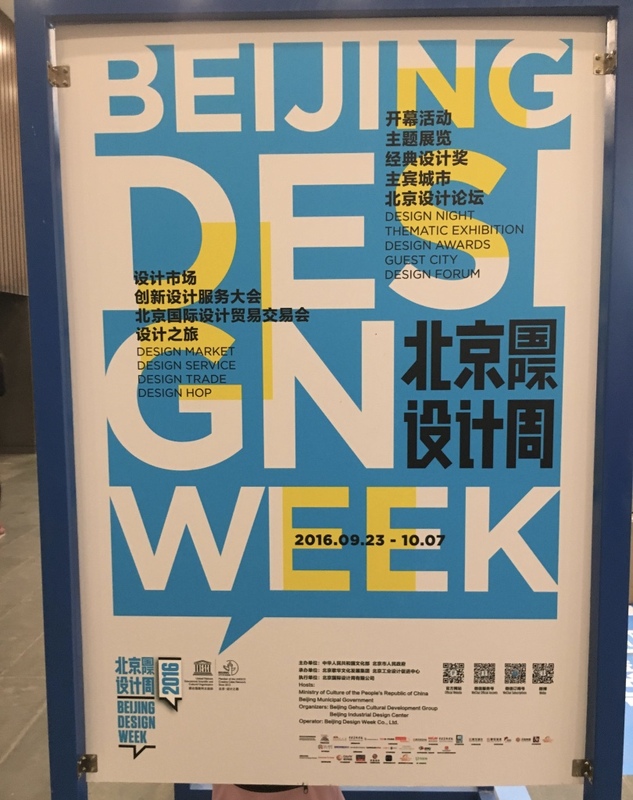 The show was part of Beijing Design Week, and was hosted by the Ministry of Culture of the People’s Republic of China. This was serious business. The Chinese government has decided they want to cultivate a Chinese Patchwork tradition, and we were there first hand to watch the begin of their cultivation. The staff worked together to make sure that each quilt was properly documented and taken care of. I was very impressed with how they handled the quilts and the hanging process. The second task was to judge the show. The judges included European, American, and Asian artists and educators. 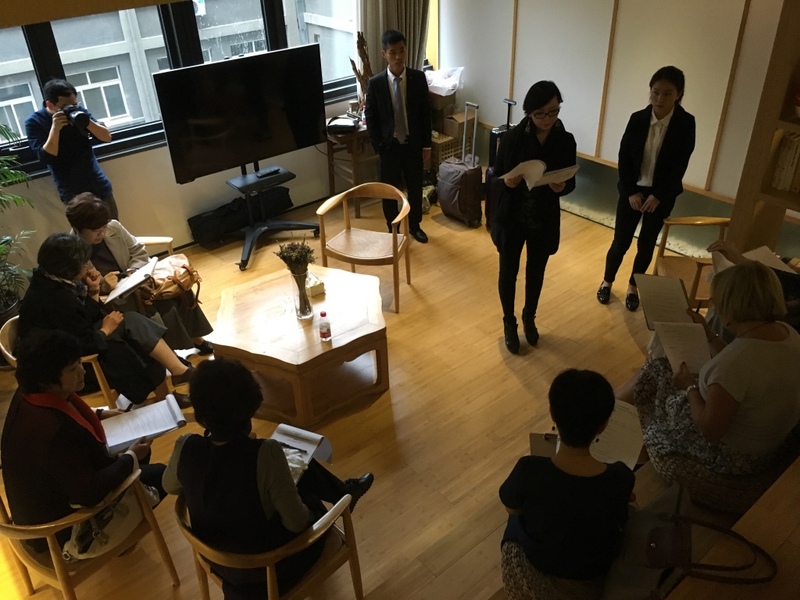 We gathered in one of the staff meeting rooms to discuss what was expected of us. Isn’t this space beautiful? Judging was a difficult thing to do at the very beginning of our trip. 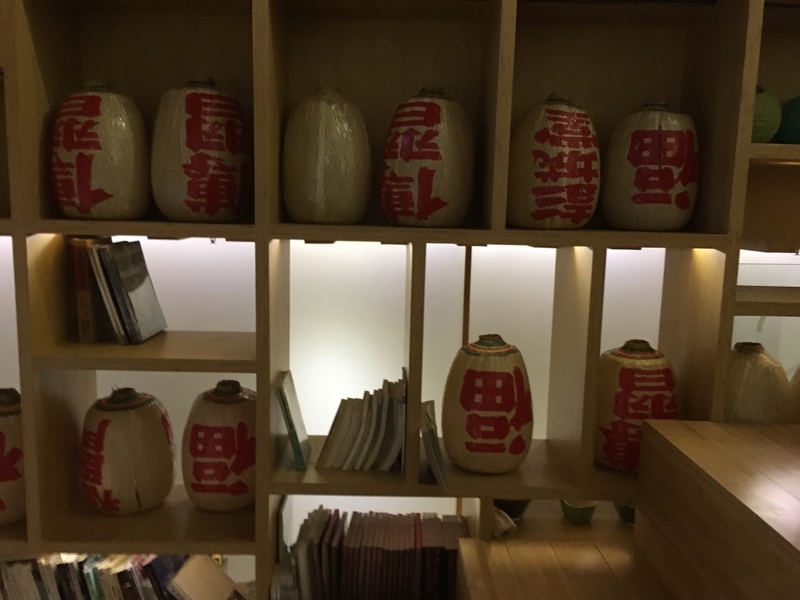 We were not used to working with translators, and we had had very little time to get to know our environment—we didn’t even know where the bathrooms were yet. I should stop here and introduce Minglu Chen whom everyone calls Madame Chen. In this photo of all the judges for the show, she is the third individual from the left. And from what I understand Madam Chen is the force behind this show. 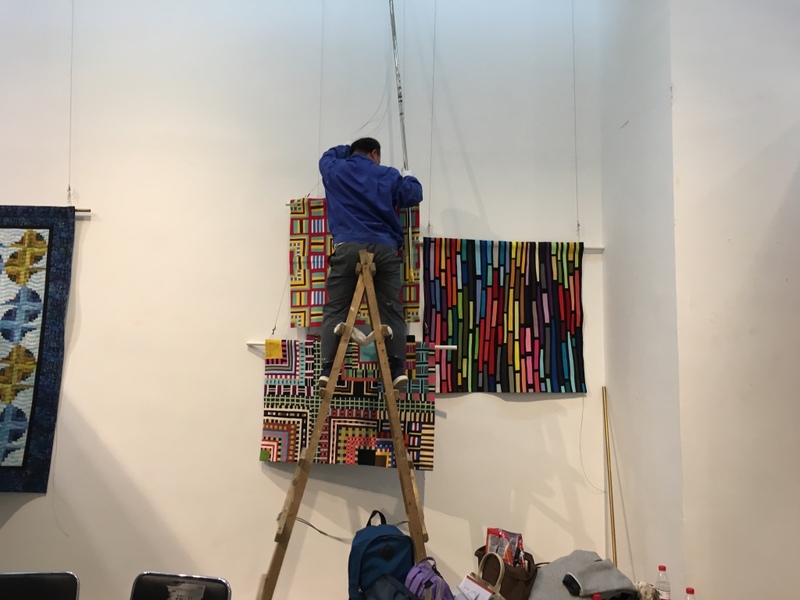 She teaches at the school (which I unfortunately do not remember the name of–but it is something like the Beijing School of Color, Design, and Textiles) and is the powerhouse bringing patchwork to her county. I should say two other things here while I show you her work. I think the proper way to say this is that Madam Chen belongs to a Korean ethnic minority who live in China. 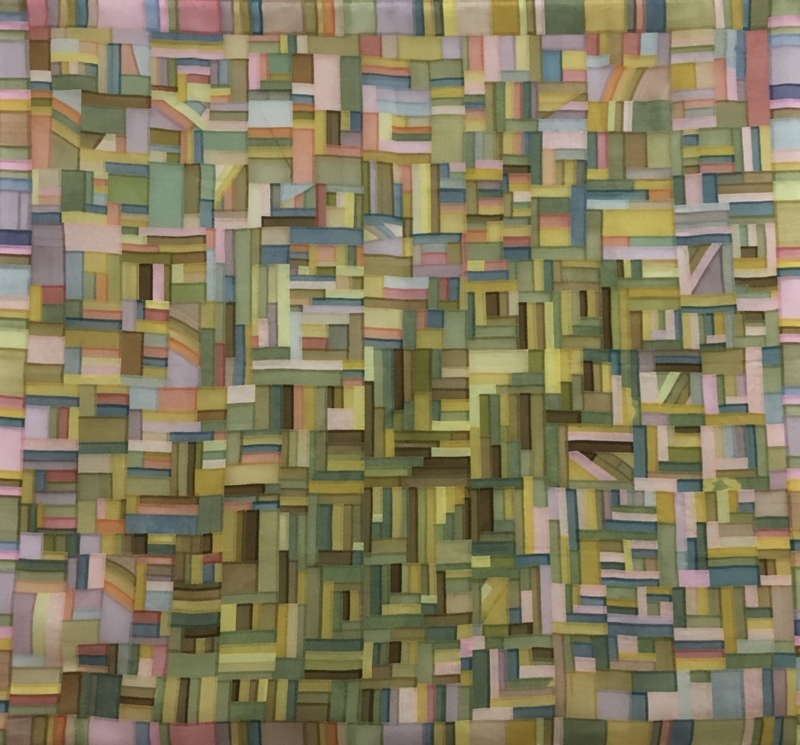 Her work references traditional Korean patchwork pojagi. But at the same time is wildly original and kind of mind blowing. While I could not understand the language and know little first hand about Chinese culture, you can tell by the way others treated her that she is kind of a Chinese version of Nancy Crow. Quilt royalty in other words. While many Chinese cultures have handwork traditions—and you will see them in the show images—they do not have a patchwork tradition. This was confusing to me, and it took me all week long to suss out. 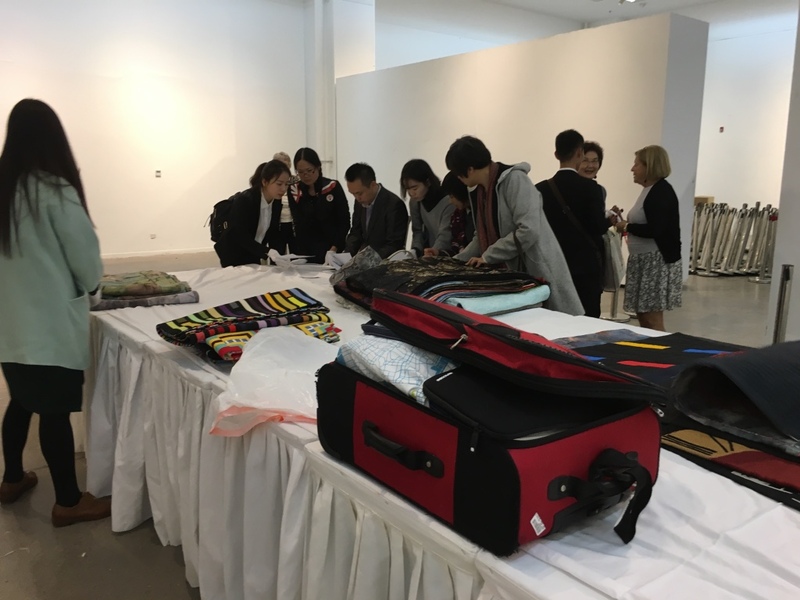 It started with the fact that the show is called the China International Patchwork Invitational Tournament & Patchwork Arts Show. For the Chinese, patchwork simple means quilt. It does not mean pieced work. 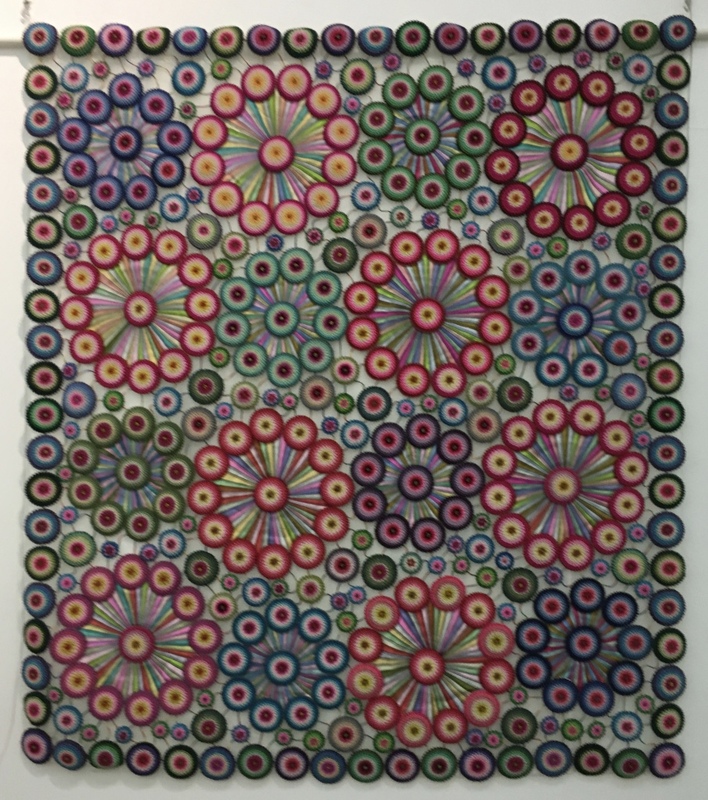 And further more, their quilts—being influenced by pojagi and Madam Chen’s work need only to have two layers. And finally, because the Chinese do not have a quilt making tradition, the entries into the competition were wildly different. Here is a peak. I tell you all about it tomorrow—or maybe the next day, or for sure on Saturday. That is my goal Wednesdays and Saturdays. 18 Jan	This entry was published on January 18, 2017 at 4:51 PM. It’s filed under Art in Place and tagged China International Patchwork Invitational Tournament & Patchwork Arts Show, Patchwork China. Bookmark the permalink. Follow any comments here with the RSS feed for this post. Wow!!! Maria, thank you so much for sharing this. It was fascinating to read your commentary and to see the beautiful images. Love, love, love it!!! Amazing work and an opportunity of a lifetime.Can’t wait to see the next installment! Great start Maria. I enjoyed reading this. The term patchwork is used in several Asian cultures to mean quilt, some European countries as well. Interesting! Keep writing. I want to read more. 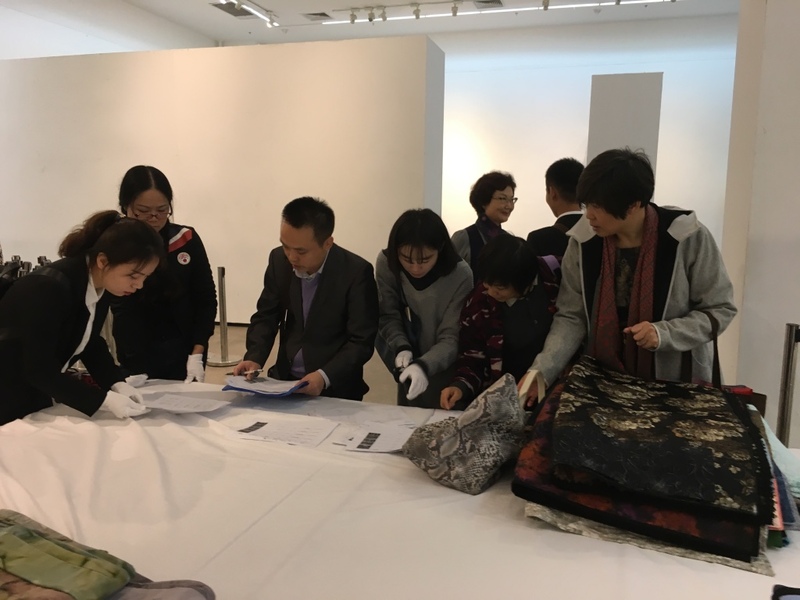 Thanks for taking time to share your Chinese quilt experience. 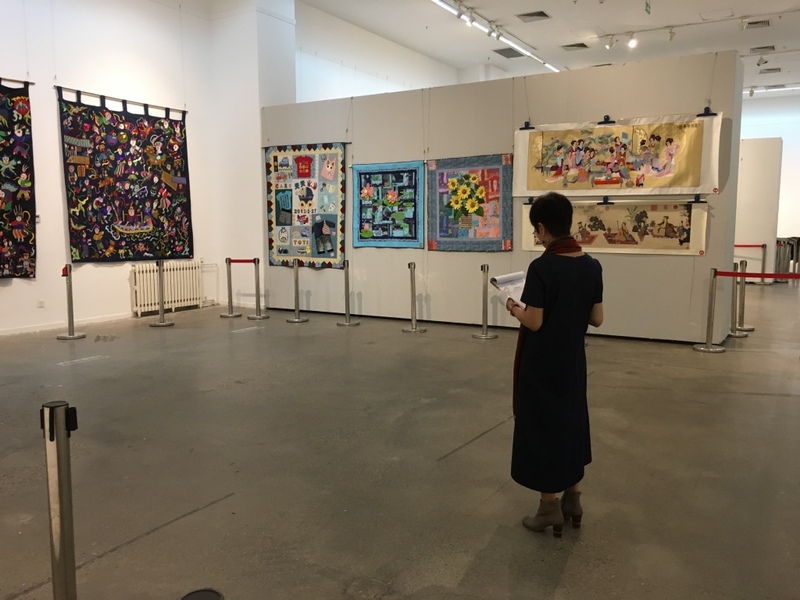 What an awesome opportunity to experience Chinese quilting in such a close up and personal way. I liked seeing both of the beautiful quilts. They were very impressive. Look forward to hearing more. 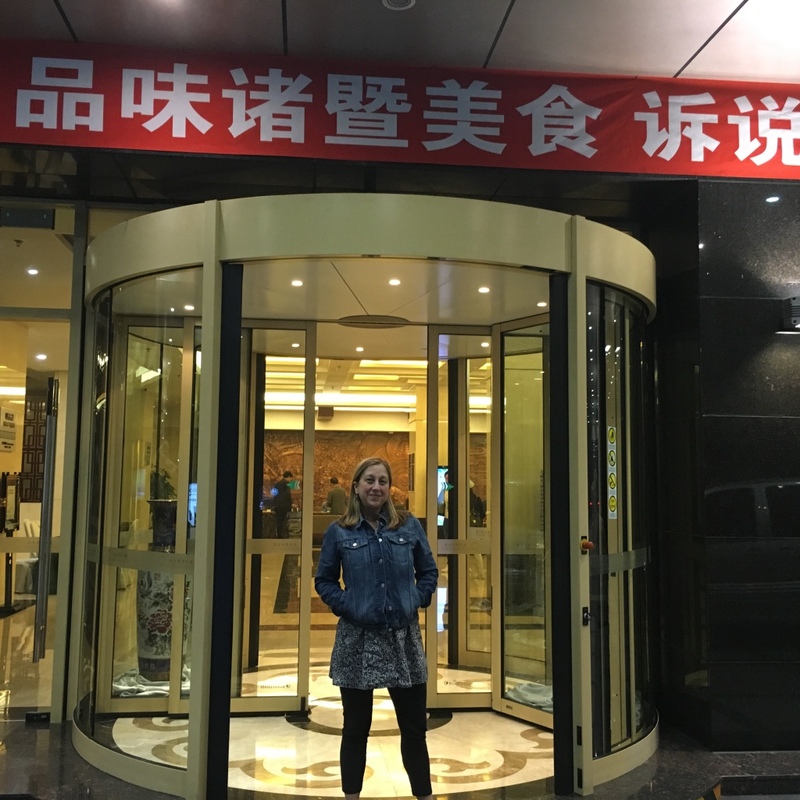 This is fascinating Maria – so glad you are sharing the adventure you had with Georgia in China. Georgia is a delight and I am sure she was fun to travel with. I look forward to your ext report. 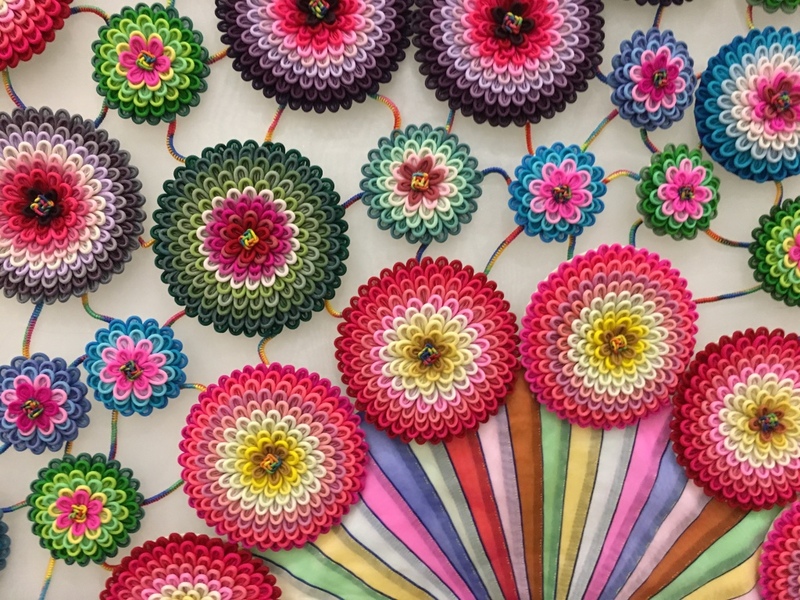 One of my Portland, OR groups, High FIber Diet, is touring some quilts in Brazil…they seem to use that “patchwork” term as well – wonder if it is similar to the use you discovered in China. Just loving your account of your time in China. I have seen appliqued quilts done by minority groups from the inland areas of China. This definition of terms is a most interesting study. In the UK and Europe the term quilting is the more generic term and covers a much wider range of techniques than even the term here in North America. Thank you for allowing me to accompany you to China. Hope the trip is everything that you imagined. China. It looks like there is some amazing needlework to share from the trip. I’m looking forward to reading that next installment. forward to future installments from your generous sharing. Thanks, Maria. Fabulous, Maria!! I look forward to more details about the quilts. This is amazing so far, can’t wait to hear about the rest! Wow! Thank you so much for sharing. I love Madam Chen’s work. I look forward to your next installment. I’m totally fascinated, plus I want to touch those round flowery things. What an exciting trip for you! Thank you for posting so we can travel along. Ben and I toured China a few years ago and found it endlessly fascinating, but we never got a glimpse into the fiber world. 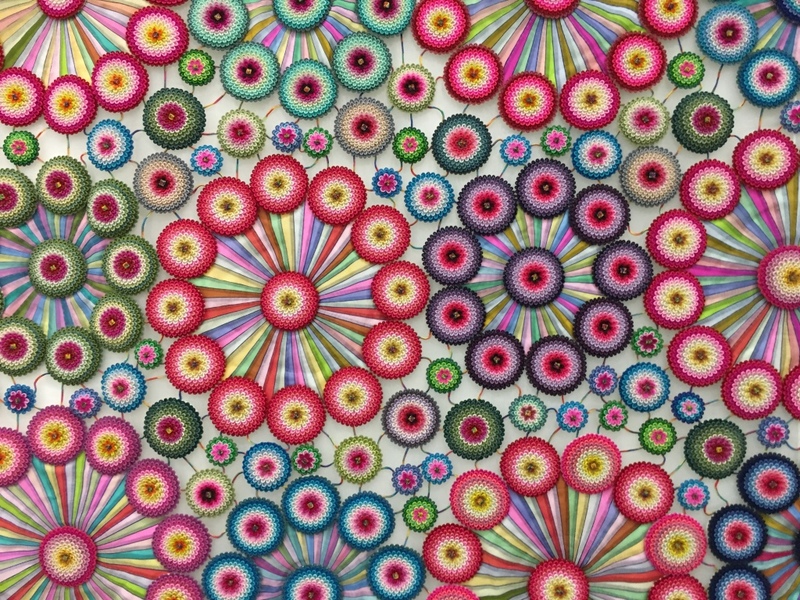 What in the world are Madame Chen’s flowers made of? What an amazing opportunity, and a fabulous trip. I look forward to the rest! that must have been so unbelievably interesting, and what a wonderful experience. Wow. Thank you for sharing and I can’t wait to read more. So fascinating to think about starting a quilt movement. What a wonderful introduction to your trip. I love the various pieces you have shown so far. The first piece by Madam Chen was so interesting, yet familiar. I had to open the photo up on the large screen, and then walk back from the computer to really see the swath of dark in the center of the work. Thank you for sharing your experience. Fascinating! How exciting to be in the front seat, watching the emergence of a new cultural trend. Thanks for sharing; can’t wait to hear more!